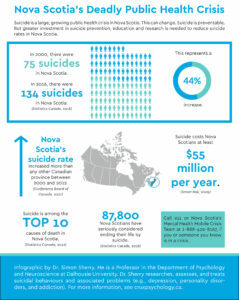 One Nova Scotian dies by suicide every 72 hours. And 622 Nova Scotians have died by suicide between 2012 and 2016. 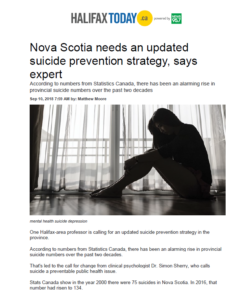 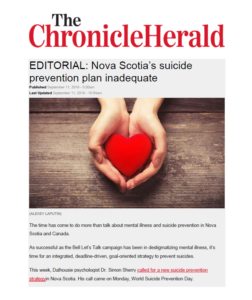 Nova Scotia needs a strong, coordinated provincial suicide prevention strategy, including wider access to medications and to psychotherapies that decrease suicide. 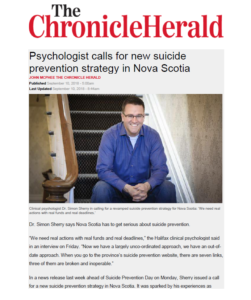 A properly funded, evidence-based strategy will save lives. 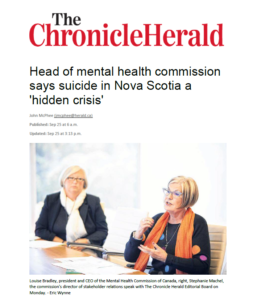 Call 911 or Nova Scotia’s Mental Health Mobile Crisis Team at 1-888-429-8167, if you or someone you know is in a crisis.